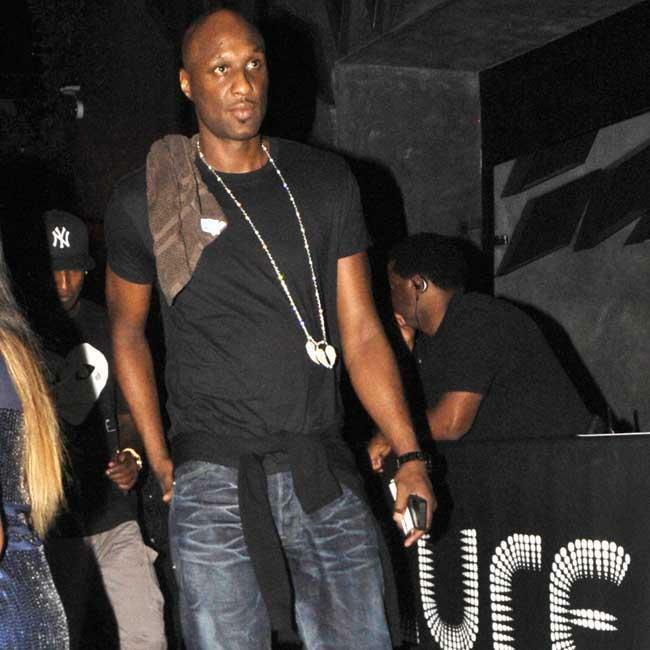 Lamar Odom will reportedly star in a reality show about his recovery from substance abuse. Lamar Odom is reportedly planning a TV series about his recovery. The 37-year-old basketball player - who is currently in rehab as a "precautionary measure" - is said to have signed a deal to film a reality show, which will air sometime next year, to chronicle his life after his divorce from Khloé Kardashian is finalised and he continues to battle against substance abuse. A source told People: "The show will be about his life, recovery -- all about him." And that's not all as the sportsman - who almost died following a drink and drugs binge in a Nevada brothel in October 2015 - is also planning to write a book about his recovery. Another source said: "He's actually writing while he's away, he's doing a lot of writing in there. There's a book offer on the table. But part of the deal was that he's going to get in good shape. Everyone's been so supportive." Lamar - who has kids Destiny, 18, and Lamar Jr., 14, from a previous relationship - is said to have been clean when he checked into rehab, but felt it best to seek treatment as he doesn't want to "slip up" when his divorce from Khloe is finalised on December 17, or over the Christmas period. A source said: "Lamar checked into rehab a week ago. He plans to stay for 30 days. It's a substance abuse program, but he was not abusing drugs when he went in. He is clean. This is a precautionary measure. "He wants to stay clear and focused. With the divorce from Khloé being finalised and the holidays coming up, he doesn't want to slip up. He's trying to take care of himself. He really wants to be better. "His friends and family encouraged him to go in and he agreed and made the decision. "Lamar is being very adult and mature and just wants to be a great father and brother, sister, a better friend. He needs to be in good shape physically and mentally."